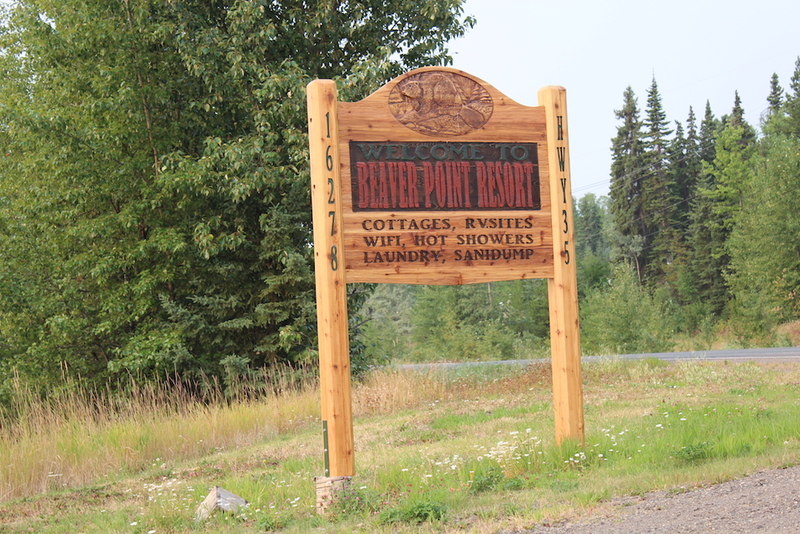 Beaver Point Resort is located 16kms South of Burns Lake, BC in the heart of the stunning Lakes District. While our region is gorgeous, Google maps don’t seem to work as well as we would like. Please see the detailed directions below to aid you on your way. When you reach Burns Lake, you will be driving down a hill, on your left (south) is the Lake View Mall with an Overwaitea Food Store,(Save On Foods) turn left at the lights. To get to Beaver Point keep going past the Mall, you will come to the Burns Lake Trestle Bridge, cross it and you are on Highway 35. We are 16 Km or 10 miles or 12 minutes along the paved highway. You will see our blue government sign 150 meters from our driveway. Turn left (east) and come to the office to register. 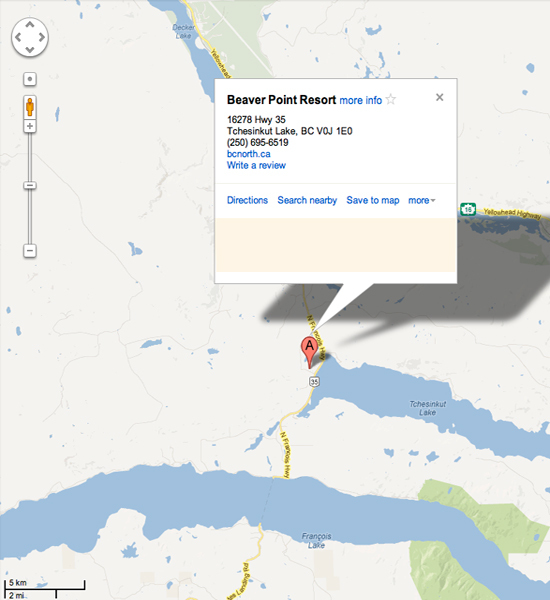 Drive through Burns Lake, up the hill past the Gas Bar, turn right (south) at the lights. Follow the instructions above. Feel free to contact us if you have any trouble finding your way.